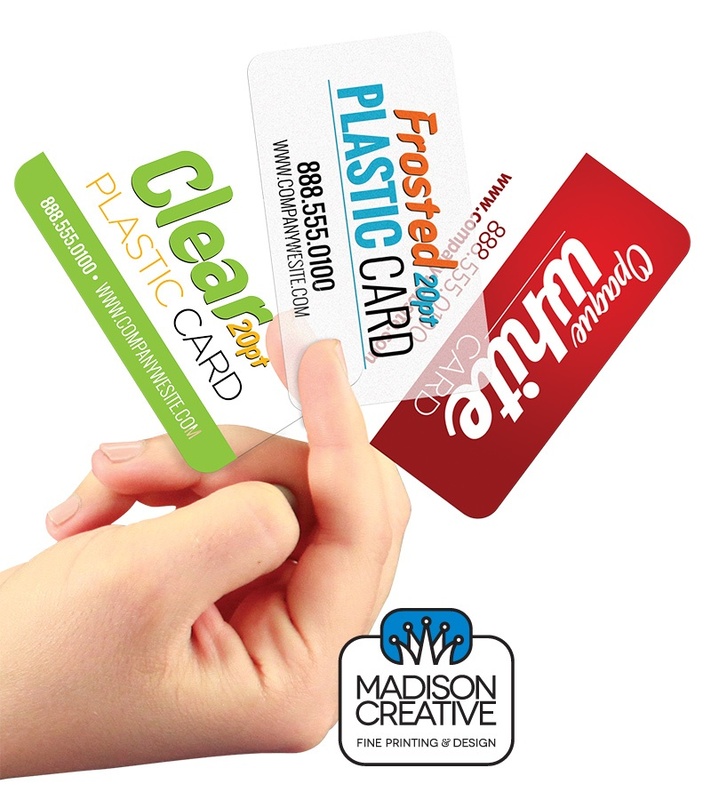 These plastic business cards offer many practical and promotional applications with a large market. 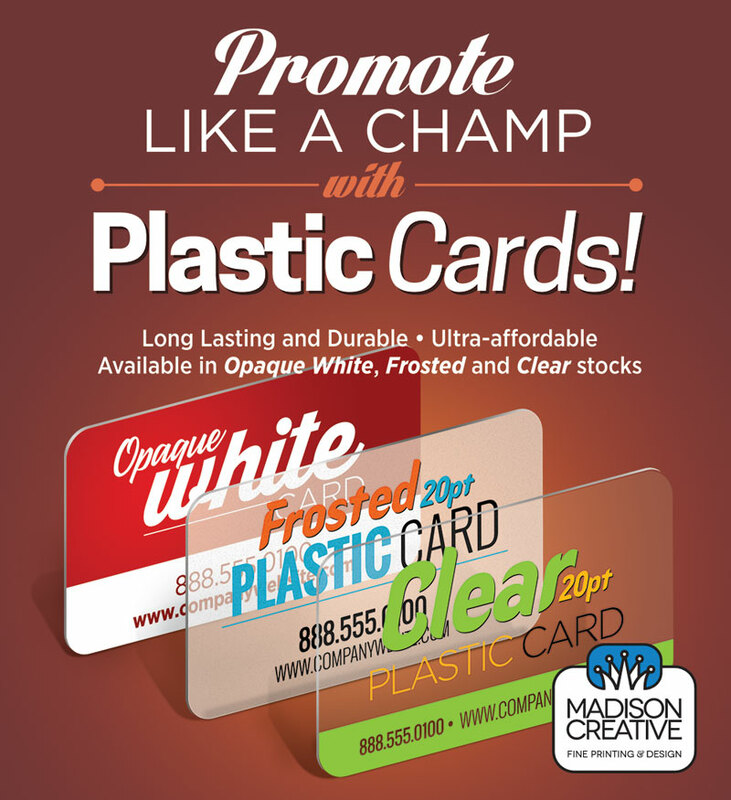 Plastic Cards are durable and printed on 20PT Plastic Opaque White, Frosted, and Clear stocks. Print One Side or Both – Same Price! Madison Creative orders include FREE unlimited pdf proofs, proofreading services, Business Cards typesetting services, UPS shipping options, artwork archiving and customer access for order status and easy reordering.